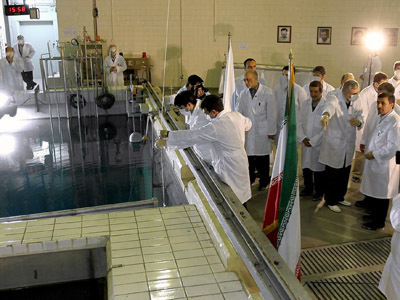 Iran has confirmed that its higher-grade enriched uranium is being converted into reactor fuel, an Iranian Foreign Ministry spokesperson announced. He also called for destruction of all nuclear arms following N. Korea's third nuclear test. "We need to come to the point where no country has any nuclear weapons and at the same time all weapons of mass destruction and nuclear arms need to be destroyed," Foreign Ministry spokesperson Ramin Mehmanparast told state news agency IRNA. However, countries should have the right to "make use of nuclear activities for peaceful purposes," he added. Speaking in Moscow, Iran's foreign minister Ali Akbar Salehi also said that North Korea as a sovereign state had its right to carry out a nuclear test. "North Korea, as far as I know, is not signatory to Non-Proliferation Treaty, so it can afford acting according to its own interests," Salehi told journalists. 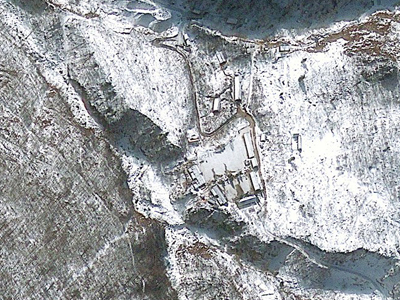 Pyongyang withdrew from the NPT in 2003 to protest accusations of launching an enriched uranium weapons program. Salehi added that Iran is not considering quitting the treaty. The spokesperson added that Iran is ready to allow nuclear inspectors to visit their Parchin military site, providing world powers recognize Tehran's right to enrich uranium. The International Atomic Energy Agency, the UN's nuclear watchdog, believes Iran might be using Parchin to develop nuclear weapons. The press conference comes after an AP report on Monday alleging that Iran had begun to convert some of its existing nuclear material, which could potentially be used in weapons, into another form. The material is in amounts large enough to feed concerns about its atomic program, according to anonymous sources quoted by AP. Shortly after the report emerged, Israeli Prime Minister Benjamin Netanyahu claimed once again that Tehran is drawing close to a “red line,” telling visiting American Jewish leaders that Iran must be stopped. 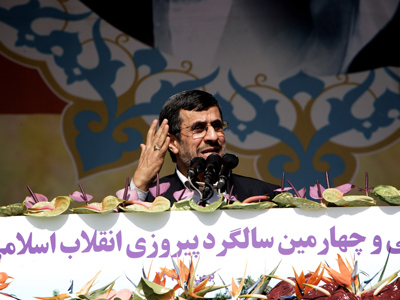 He also urged stronger pressure and further sanctions on the Islamic Republic. 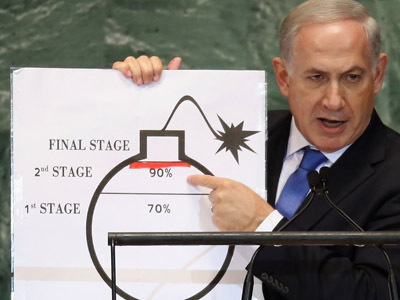 Last September, Netanyahu called on the UN General Assembly to stop Iran from acquiring a nuclear weapon. The West has repeatedly insisted that Iran is developing atomic weapons and imposed several rounds of sanctions against Tehran targeting its oil and banking sectors. 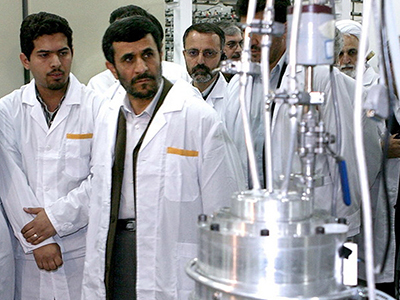 Experts fear that Iran could have enough 20-percent uranium for a bomb by the summer, if enrichment continues. The 20-percent material is technically only a step away from weapons-grade uranium. 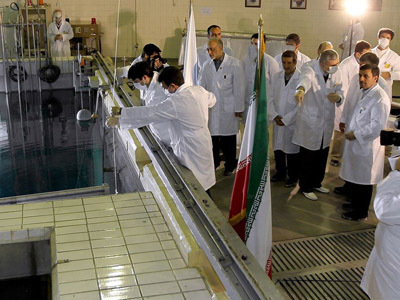 However, the substance can also be used for peaceful purposes and Iran insists that their nuclear program is designed to meet the country's growing energy and medical needs. Converting enriched uranium into fuel is also one of the ways for Tehran to slow the growth in its stockpile of material that could be used to make a bomb. Iran is expecting a new offer from world powers in international nuclear talks which are deemed to take place in late February in Kazakhstan, a member of its negotiating team said on Monday. Iran and the P5+1 group (the US, UK, Russia, China, France and Germany) are to resume negotiations after an eight-month break, following up three failed meetings previous year. Their last meeting in Moscow yielded no breakthrough as Iran rejected calls from the group to suspend part of its program and asked for a substantial sanctions relief in return. On February 26, P-5+1 group will meet with Iran as part of routine summit in Kazakhstan. The talks are expected to focus on Iran's controversial nuclear program. Moscow intends to bring up the issue of Tehran’s reluctance to comply with UNSC demands and freeze its uranium enrichment.